Jake was born in Tallassee, Alabama on June 1, 1957 and moved to Atlanta, Georgia when he was six years old. When he graduated high school in 1975, he joined the U.S. Army. He was in the military for six years, and served at Fort McPherson for sixteen months, and the rest of the time he was stationed in Germany. Since then, he worked a few jobs until he lost his job in 2013. From October 1, 2013 to October 26, 2013, Jake was homeless. He was living on the streets for two weeks, and through The Gateway Center, he found United Way. United Way referred Jake to Homes of Light. 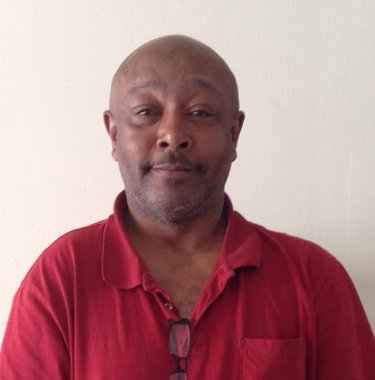 Jake has been a client of Homes of Light since October 2013, and has just graduated and moved into his own apartment. He is also taking the computer classes that HOL offers to veterans. He says that before the class he was not familiar with computers. Jake is looking forward to getting a car through their VetCar program. In the future, he wants to further his education, particularly as it relates to cooking. He enjoys barbecuing and playing cards and is a devoted family man, “the centerpiece that brings everyone together.” His two children and grandchildren have been his motivation to get back on his feet.